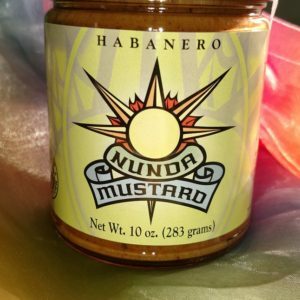 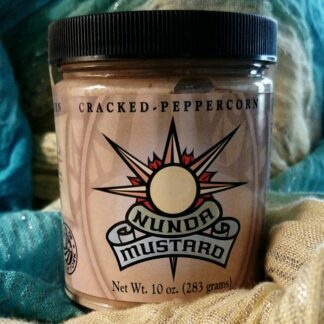 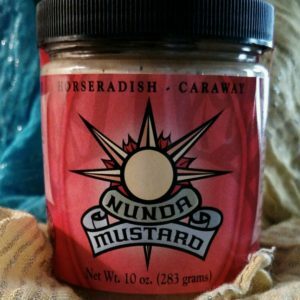 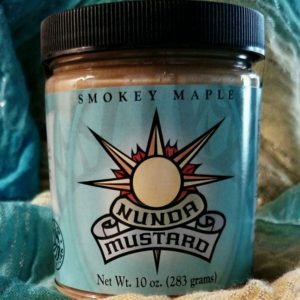 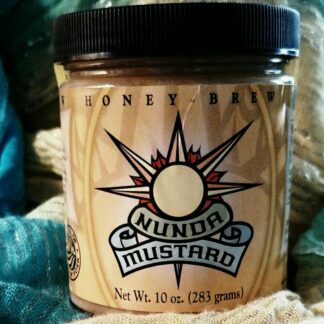 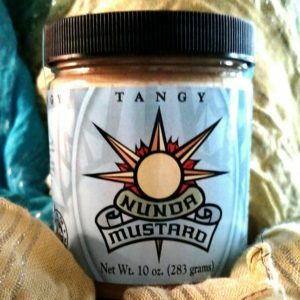 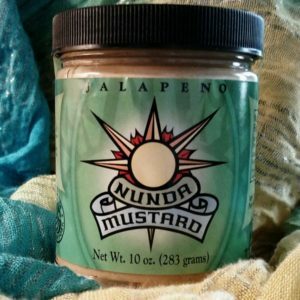 Garlic Nunda Mustard is definitely garlic! 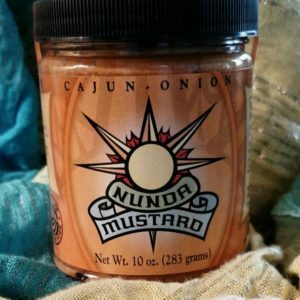 The taste and aroma makes this a unique addition to your condiment collection. Versatile as a spread on sandwiches or as a dip for pretzels or vegetables. Try adding our Garlic Nunda Mustard to pasta, rice, salads, and other prepared dishes. Makes a wonderful glaze when broiling or grilling. 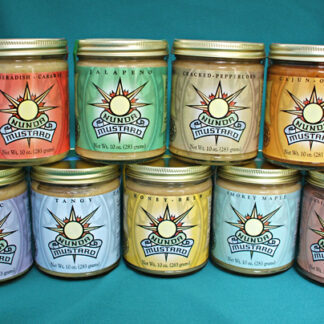 It is fat free, and only 12 calories per serving. 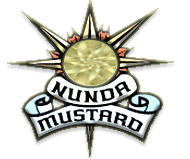 Garlic Nunda Mustard contains no artificial preservatives. 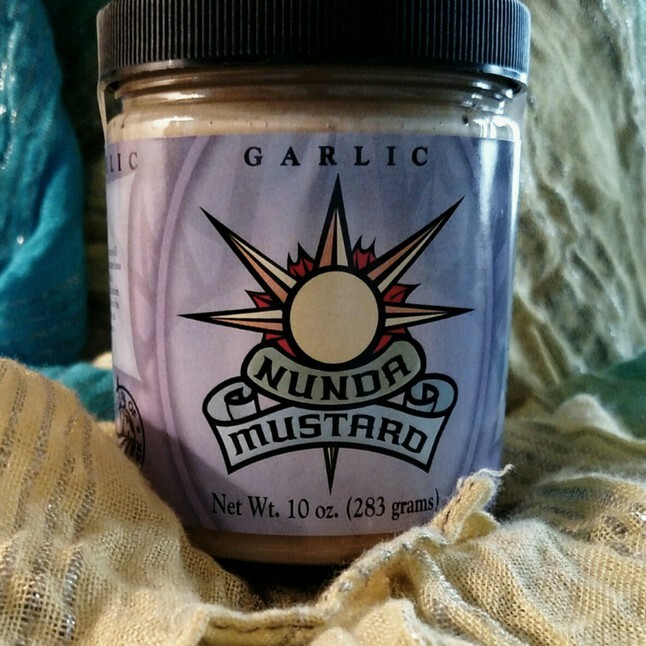 A garlic lover’s dream come true.